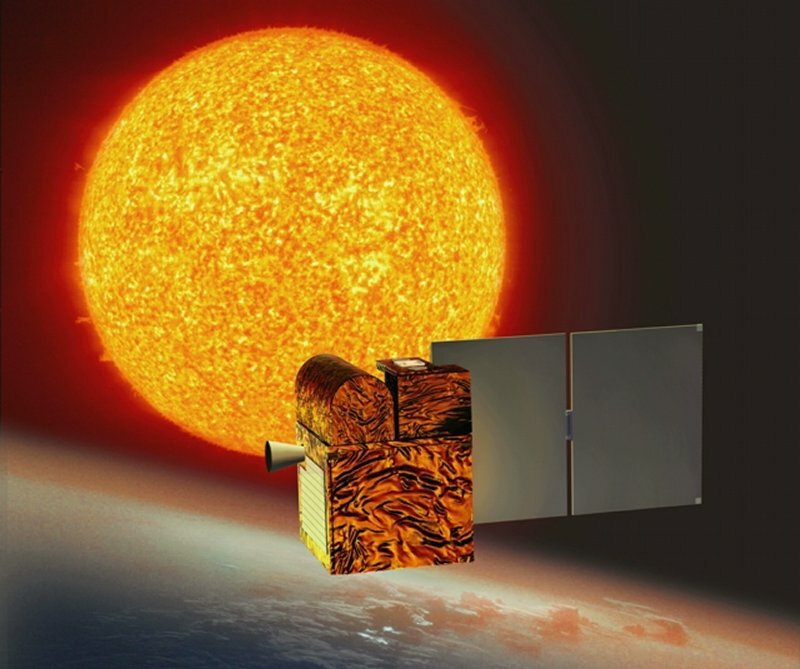 The Sun and its impact on Earth’s climate is a topic of prime importance. The Picard project was first proposed in 1998 by the aeronomy laboratory of the French national scientific research centre (SA/CNRS). On 3 December, the CNES Board of Directors decided to authorize this project frozen since 30 April 2003, in line with the recommendations of its Science Programmes Committee. It will go live in 2008. Climate perturbations can cause untold damage to our planet, so climate mechanisms are a topic of the utmost scientific interest. Indeed, our ability to predict climate variations could hinge to a certain extent on anticipating changes in solar activity. The mission is named after the 17th century French astronomer Jean Picard, who was the first to measure the Sun’s diameter and its variations with a high degree of precision. a differential radiometer (Belgian SOVAP instrument) to measure total solar irradiance. The architecture of the Picard microsatellite—which weighs just 125 kg—is similar to that of Demeter , the first in the Myriade series. CNES is project prime contractor. The mission has been designed and will operate with CNES’s Myriade ground segment and spacecraft bus, already used for the Demeter and Parasol missions. Picard will be launched by a Russian Dnepr launcher, which also orbited Demeter.